Introduction: It’s holiday season and am sure everyone is busy shopping for the festive season. This month I will bring you guys, easy and pocket friendly DIY projects for Christmas celebrations. 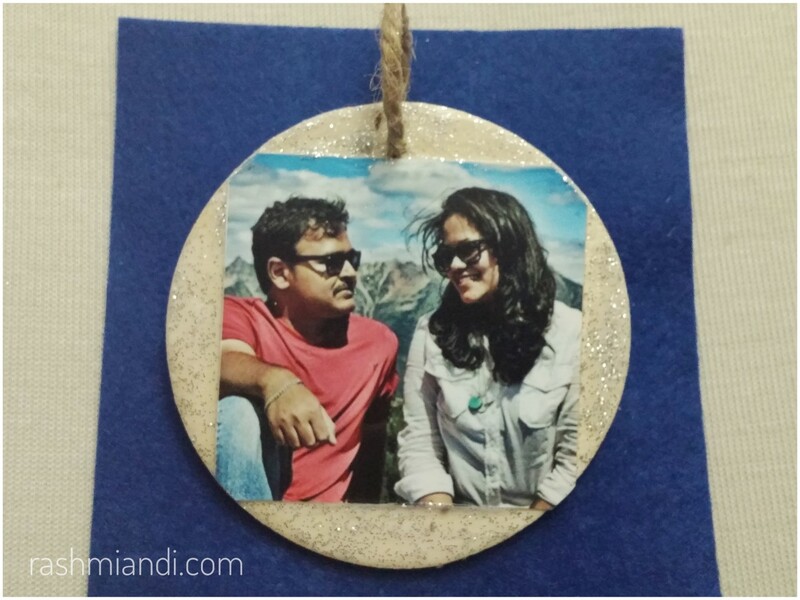 Today have got an easy tutorial on DIY Photo transfer Christmas Ornaments. It’s an easy, pocket-friendly project. All you need is Mod podge, wooden circle from Michael’s and some thread for hanging. You can photo-transfer your favorite pictures or the milestones reached in that year and make an ornament which can adorn your tree this year. Hope you guys have fun making this beautiful and easy tutorial. Step 1 Take the wooden circle and make a hole, using scissors and then apply a single coat of Mod podge on to it. Step 2 Now stick the photo you want to transfer onto the wooden circle. Step 3 Coat the photo with a layer of mod podge in a single direction vertically. Step 4 This is optional, you can add glitter glue on the sides if desired. Sounds like cool DIY for Xmas, Take a bow to your creative and artistic side. Thanks Vishal for stopping by! Will be doing more DI’Y’s,all this month.Do check out.